Daytime temperatures in Winter depend on the direction of the wind; the warmth from the limited sunshine is too weak to make much difference. Northerly winds will always bring cold weather because the air reaching Britain has originated in arctic regions. Easterly winds can be even colder because they come from the Winter ‘pole’ of low temperature in northern Siberia: even a southerly wind which draws in air from a continental source can be cold in Winter and is often associated with some of the heaviest snowfalls in southern England. Westerly winds are typical of the milder Winters which are usually very wet with little or no snow except on the highest ground. Check for slug infestations and treat accordingly especially round fleshy crowned plants. Frost protection: Ensure that any plants you suspect to be tender are given appropriate protection from severe weather. Examine existing trees, shrubs and climbers. Remove dead, diseased, damaged or unwanted wood. Use sharp secateurs or pruning saw and ensure the cuts are made cleanly and leave no snags. Paint large cuts with a proprietary compound to prevent entry of disease. Remove the pruned shoots and branches. 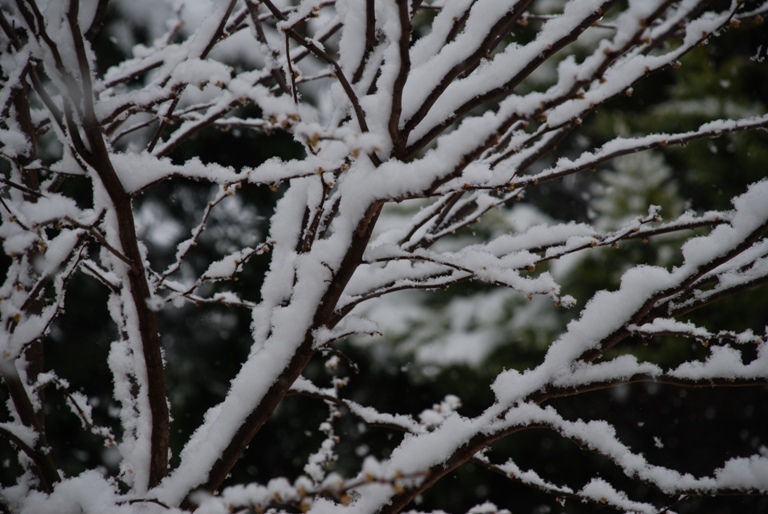 Be prepared for snow – conifers, hedges and evergreen shrubs need heavy falls knocked from branches to prevent them breaking. Check the pH and nitrogen levels in the garden soil to see if extra Spring dressings are advisable. Perennials: remove any tall dead flowered stems of vigorous plants which have not been cut down in Autumn. Thicken depleted layers of mulch before weed growth appears. Prune Summer flowering Clematis to a low pair of buds, i.e. leaving only 30-50cm of plant above ground. Vigorous new growth will give a profusion of flowers. Prune Wisteria, shortening side shoots to around 5cm and taking out any “twirling” leaders leaving only a clear main framework.